At Global Surface Solutions we pride ourselves on the wide range of services we’re able to offer. Thanks to almost two decades of professional experience and a drive to offer clients a unique and beautiful solution, we have developed a variety of creative services to meet your needs. Various floor systems to meet your needs, no matter the location, special requirements, or specifications. Whether you are looking for a solution for kitchen or living room flooring, decks, patios, or commercial spaces, we can educate you about the possibilities and suggest what options are best for your application. 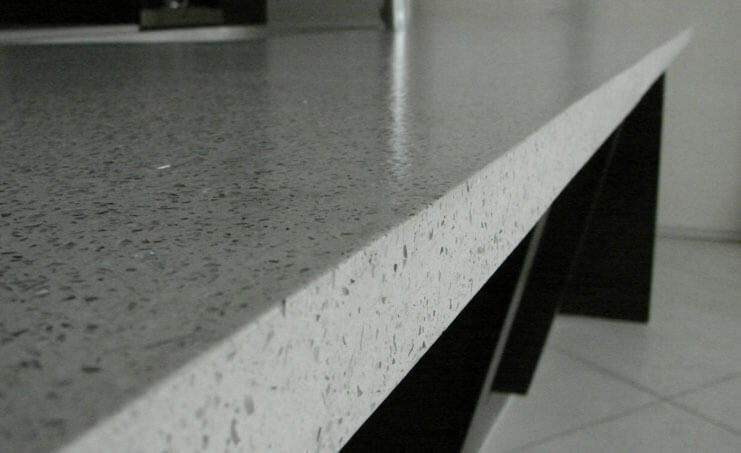 Concrete countertops aren’t just a beautiful and practical surface solution, they’re also fully customizable to meet your specifications and design requirements. Durable, versatile, and beautiful – it’s easy to understand why concrete countertops have steadily gained popularity over the years. Global countertops are very different than what most people think of when referring to concrete countertops. Our counters use lightweight cores, so they are less than half the weight. We use special material so they have a flexural quality, which allows them to flex, enabling them to be incredibly large and seamless. Whether you’re looking for a classic or contemporary fireplace for your home, we offer a variety of beautiful styles guaranteed to light up any room. 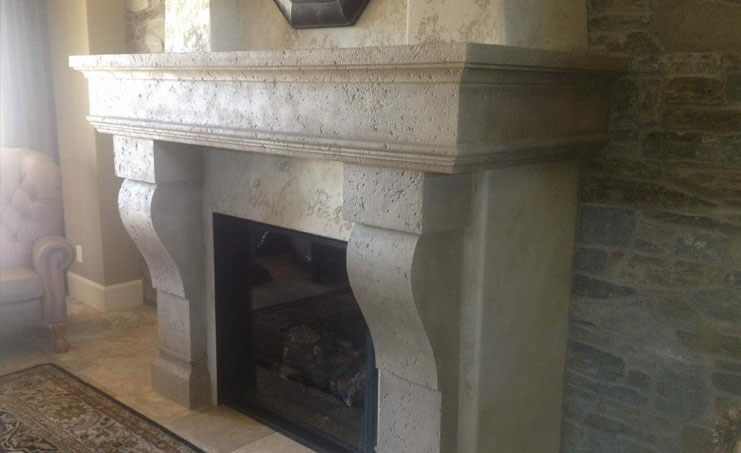 Simple or bold, classic or contemporary, Global’s concrete fireplaces add a memorable architectural detail to any room. Lightweight and easy to install, every surround and mantel is handcrafted for each client and particular space requirement. Each fireplace is cast, custom textured and colored, so your fireplace will be like no other. Our architectural accents and overlays are ideal for adding elegance and grandeur to any interior or exterior surface. The ability to create lightweight shapes, which have the look and feel of heavy solid decorative pieces for interior or exterior projects, is a tremendous benefit to construction. We can create balustrades, cornices, frieses, etc. and give them the look and feel of limestone, sandstone, cast concrete, rock, and more. The trend with specialty concretes in wet space applications is to be able to offer a seamless system as opposed to tile and grout. The specialty concrete overlay systems last longer, and require less maintenance to preserve their waterproof nature and beauty. 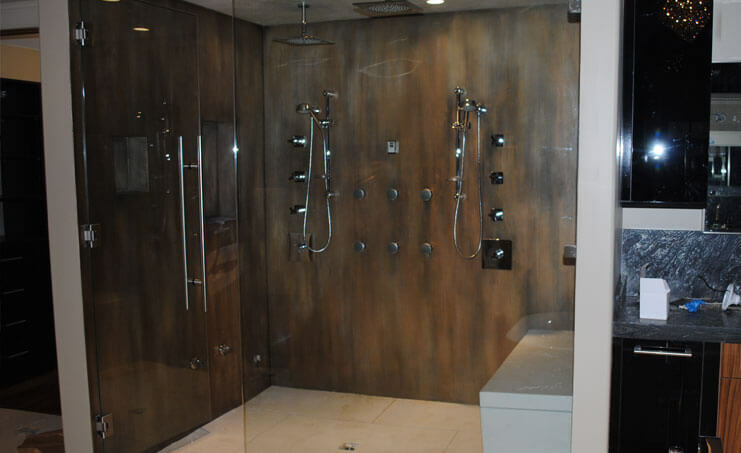 Offering the perfect blend of eye-catching design and soul-soothing luxury, Global’s Shower and Steam Room Surrounds are unique, waterproof, easy to clean and have no grout lines. 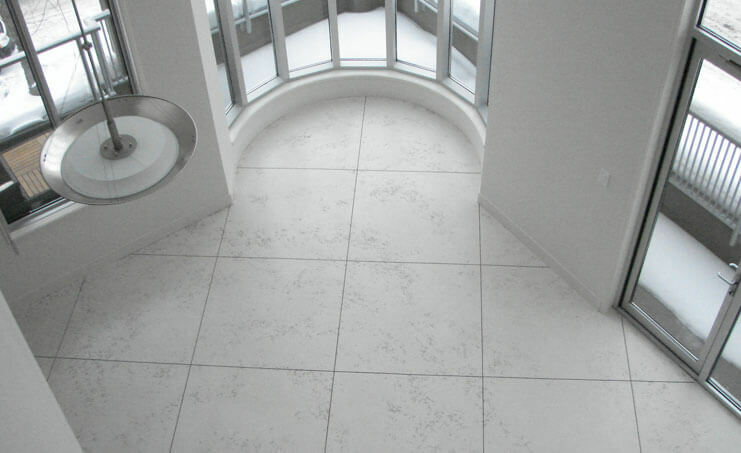 Easily applied directly over existing tile surfaces or substructures, each surround results in a classy, custom, high-end concrete shower design. 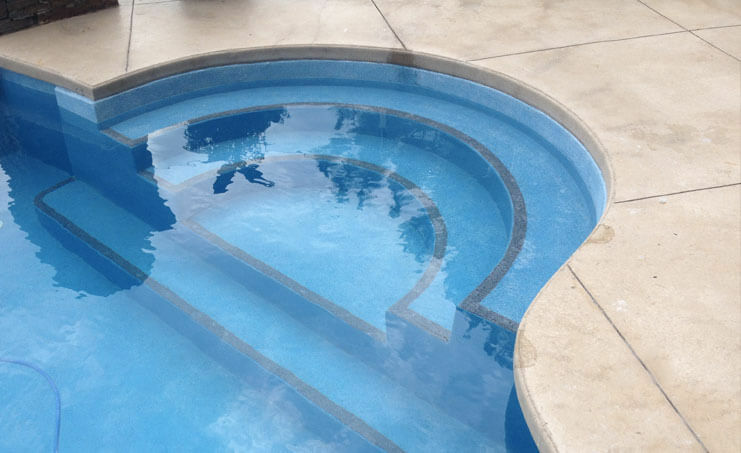 We surface concrete pools with our polymer modified cement overlays and also with recycled colored glass to provided brilliant finishes. 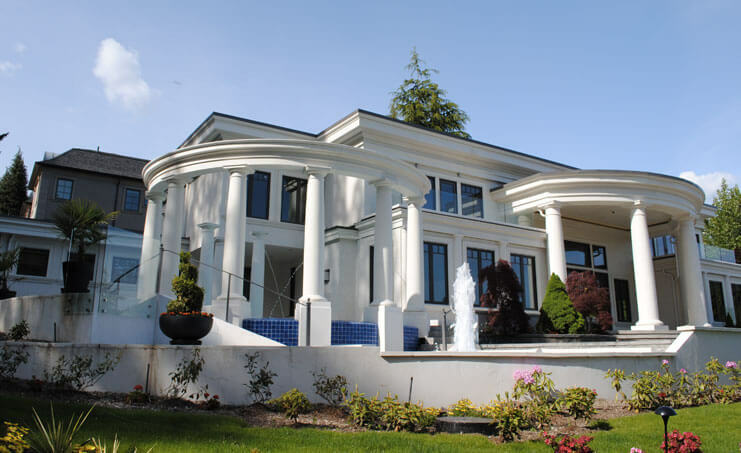 Since concrete can take on many faces, from old world rustic to ultra refined and modern, we can provide you with pieces designed for your home or business. Sometimes the magic is in the details. 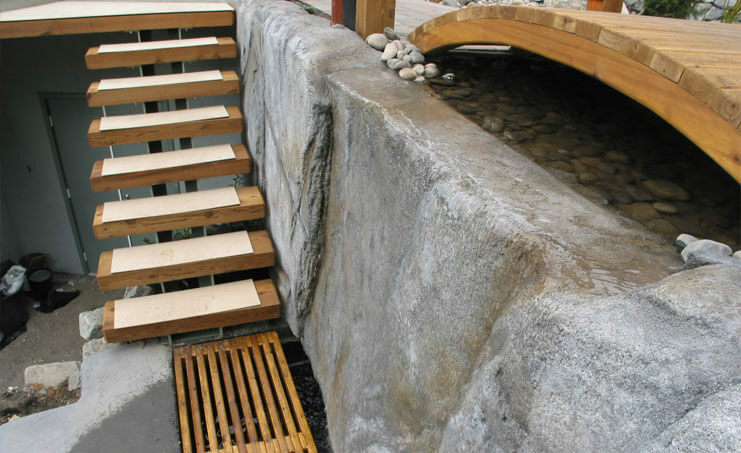 Creating extra decorative architectural elements in the form of water features, rockscapes, and furniture can add a sense of unique style to your home or business. Don’t go through a costly re-concreting process to fix damaged or deteriorating concrete if you don’t have to, simply resurface! 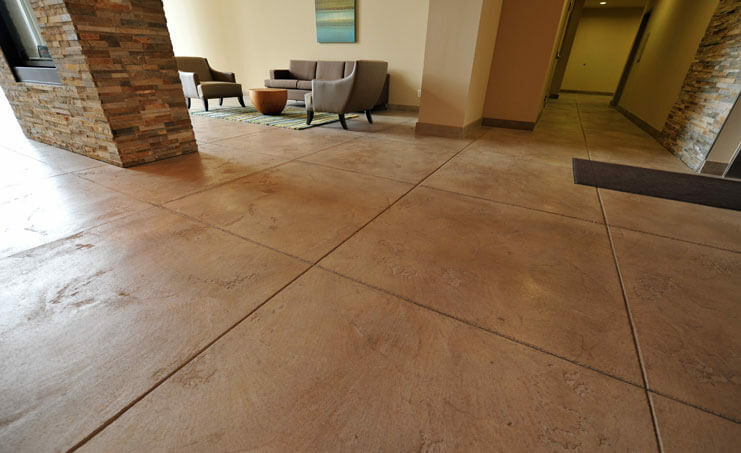 If you have an existing concrete surface that’s beginning to show signs of deterioration, cracking, or staining, concrete resurfacing offers the opportunity to make your surfaces as good as new through the use of a variety of options and finishes. We can overhaul damaged or worn concrete by resurfacing for maximum durability. Don’t let a worn out court affect your game. 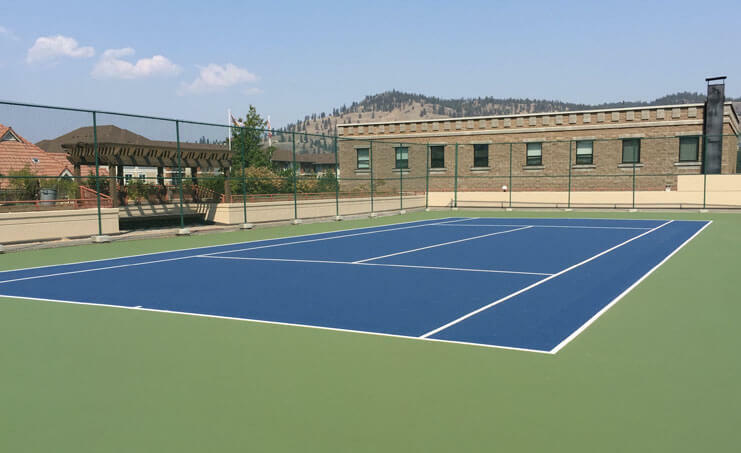 We can resurface and repair Tennis Courts for maximum durability. Global Surface Solutions can repair damaged courts and resurface to create an even and hazard-free ‘like-new’ court so players can get back to their game. A variety of finishes and top coatings are available and offer the maximum amount of durability possible.